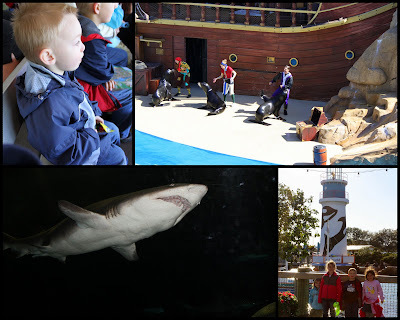 Dolphins, Sea Lions, and Shark Encounters Oh My! 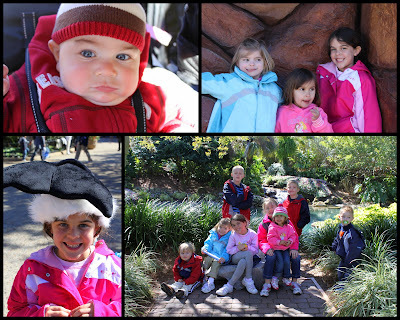 While Disney is fantastic, one should not miss out on the opportunity to go to Sea World. However, I would not recommend it to children under 3 unless they are really good at sitting. Roman was borderline. 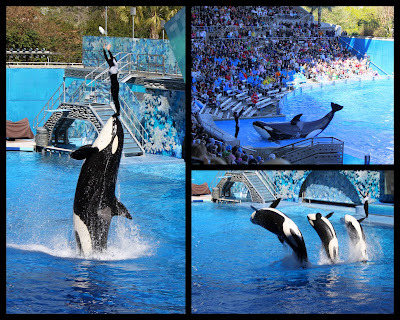 He had a hard time sitting the length of the shows, and Sea World is really all about the shows. I am not sure if it was because we were to high in the stands and he could not see well or if it just did not interest him. However, there was no way I was going to sit up close given that it barely reached over 40 degrees that day. The sunshine is deceiving because it was very cold and windy. We all ended up with wind burns on our faces. 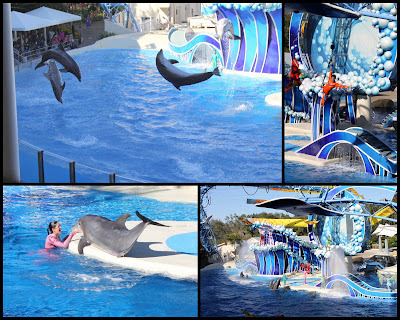 My favorite part of Sea World is the dolphin show. I love how they intermix it with birds and acrobatic choreography. My boys had a blast visiting with their cousins. Miss E amazed me in how much she has changed since June. Instead of giving me a scowling look, she flashed me with the most adorable and heart melting smile. Check out the cheeks on that gorgeous baby too! I could kiss on them all day long given the opportunity. Harris was in heaven after getting to ride all 3 roller coasters: The Journey to Atlantis, the Mante, and the Krakken. That sounds so cool! I'd like to go to sea world!